Frank Lampard will make a return to the Stamford Bridge, when Chelsea plays host to the champions in 23rd match day of the Premier League. The league is back after a week break due to the FA Cup fourth round. It will be one of the most crucial clashes in the race for the league title. If Manuel Pellegrini's men lose on Saturday, Chelsea would have a eight point lead at the top of the table. 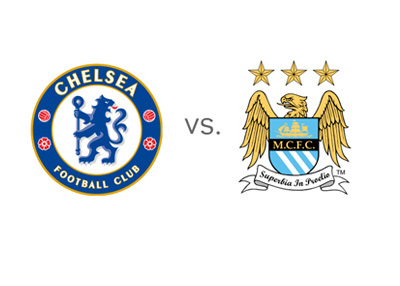 In the FA Cup fourth round, both Chelsea and Manchester City got eliminated at the hands of the lower division teams. The West Londoners have bounced back from the defeat as they defeated Liverpool in the second leg of the Capital One Cup semi final and have earned an opportunity to go to the final at Wembley. The Citizens on the other hand are out of the two domestic cup competitions. Their closest shot to a silverware this season would be at the Barclays Premier League trophy as the Champions League is quite unpredictable. The reigning English champions are five points behind Jose Mourinho's men after losing their last league game against the Gunners at the Etihad. In their last league game Chelsea were at their best as they humiliated Gary Monk's Swansea City. The game at the Liberty Stadium ended 0 - 5 in favor of the league leaders. In October 2013, their last league match at Chelsea's home ground, Chelsea got one better of City and the final score line was 2 - 1 with Torres scoring the last minute winner. In their last five league meetings, the Londoners have won thrice and lost only once. In September 2014, the two sides battled at the Etihad. The result was a 1 - 1 stalemate with City's full back Pablo Zabaleta picking up a red card. Andre Schurrle scored for Chelsea, whereas the equalizer for the hosts was scored by none other than the ex-Chelsea ace, Frank Lampard. In the start of this month we witnessed City extending Lampard's contract until the end of the season. Current Form: CHELSEA (WWLDWW) The West Londoners have won four of their last six games in the league, while drawing one and losing one. MANCHESTER CITY (LDWDWW) have won only three of their last six fixtures and have drawn twice and lost once.